Bobbi Brown just launched her answer to Laura Mercier Caviar Sticks: Long-Wear Cream Shadow Stick. Since I already have several colors of the Caviar Sticks (I need to show you and review the ones I picked last month), I chose Bobbi Brown's #5, Forest. Forest is a good example of Bobbi Brown's wearable green. It has a blue/almost black base, so the appearance of the eye shadow is very modern. 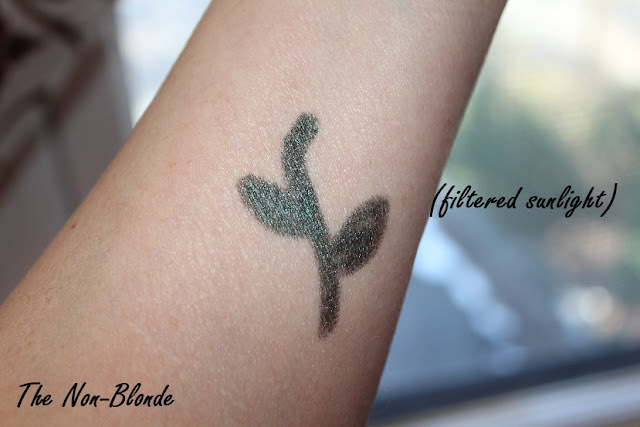 The finish is shimmery/semi-metallic even when smudged. Speaking of smudging, the cream stick sets very quickly, just like the ones from Laura Mercier, so you need to work and smudge fast. The texture is as creamy as Bobbi Brown promises ("This do-it-all formula glides on tug-free and can be used to shade, define, smoke up and highlight eyes"). 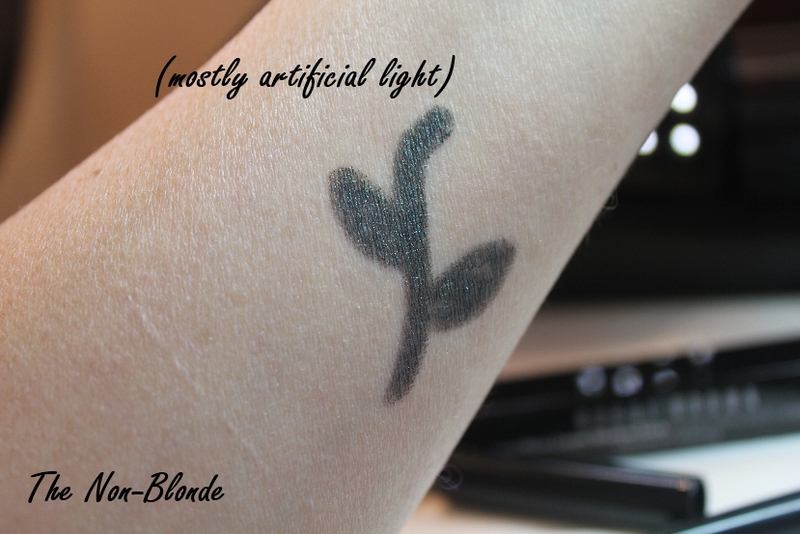 It's very easy to apply and manipulate, the pigment is intense (at least in this one. I haven't tried the lighter shades), and the result is an easy and effortless eye look. 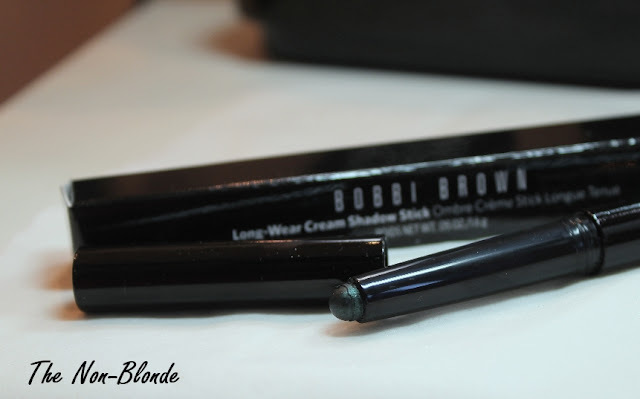 Bobbi Brown Long-Wear Cream Shadow Sticks are brand new, so I obviously they haven't faced a humid NY summer. 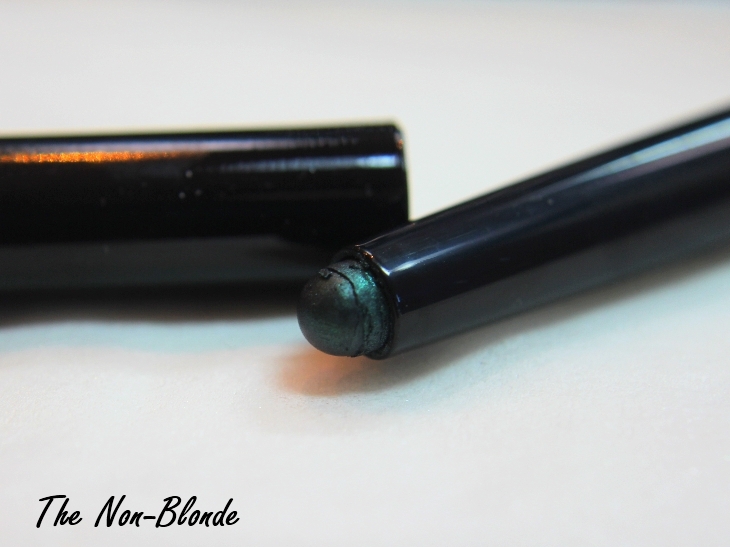 From what I can tell, though, they are as reliable as the ones from Laura Mercier, offering long wear and no creasing. You'll need a good eye makeup remover to take it off. I had to double cleanse my arm after swatching. 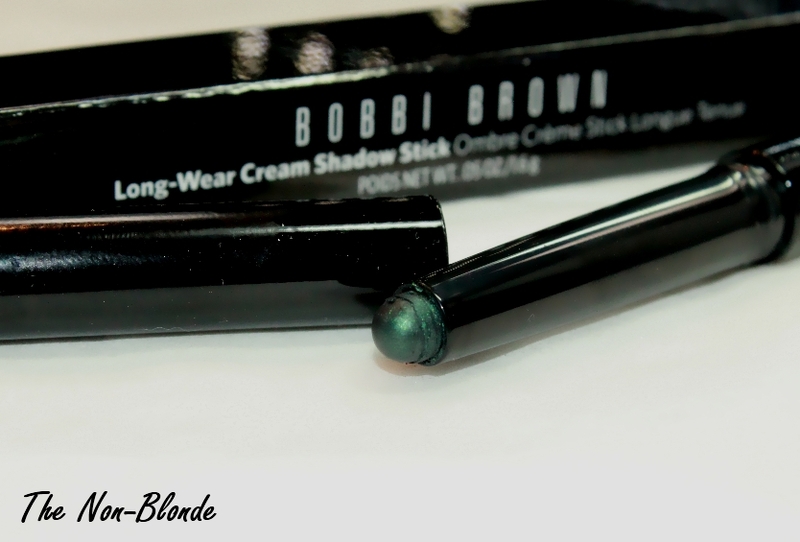 Bobbi Brown Long-Wear Cream Shadow Stick ($28) is starting to appear at the counters and online. I got mine from Saks. That looks quite tempting! I like this and the Caviar sticks because they're good to swipe on and go. I'll have to check this one out too. I love LM's Caviar Sticks, I must get to a BB counter soon and give these a try, especially the forest green!